“For me, coaching is not about giving the answers. Coaching is about working together with my clients to uncover the answers they have within,” explains Monika. Monika Hansson Tutter is an esteemed career woman, author, and entrepreneur. Currently, she works as a management coach, helping clients to reach their full potential in both their careers and their personal lives. 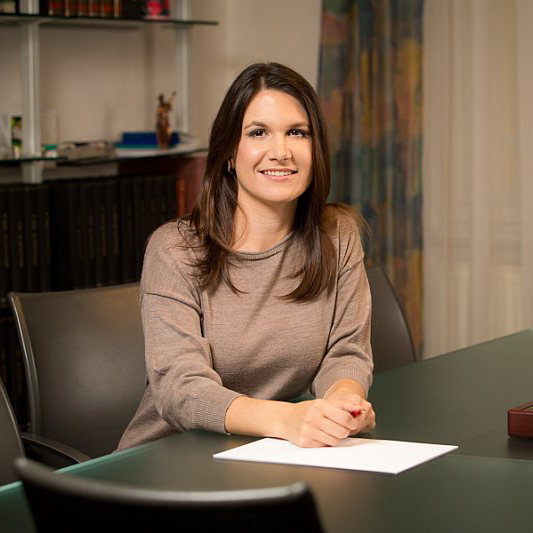 After receiving her MBA in Brussels, Monika continued on to have a successful six year career journey with companies such as Euromoney Institutional Investor PLC in London, GE Money Bank in Prague, Vienna, and London, and, finally with Citibank in Prague. In 2010, after living in different countries, off-and-on for several years, Monika reached a turning point. She decided that she wanted to take the life lessons she learned while living abroad and use them to help people in the Czech Republic. In 2014, Monika wrote the book I Am the Captain, where she details her transition from employee to entrepreneur, explaining the nuances and mindset she had to adapt in order to begin her career change. The book also includes coaching questions for those looking to make changes in their own lives. “Studying at UNYP helped me by teaching me the skills to say what I want to say, to have my own opinions and elaborate on them freely. In starting your own business, it is important to understand to stand your ground,” Monika states.